L.D. Wood was born on January 23, 1914 in Lubbock County, Texas and died on November 24, 2006 in Lubbock, Texas. 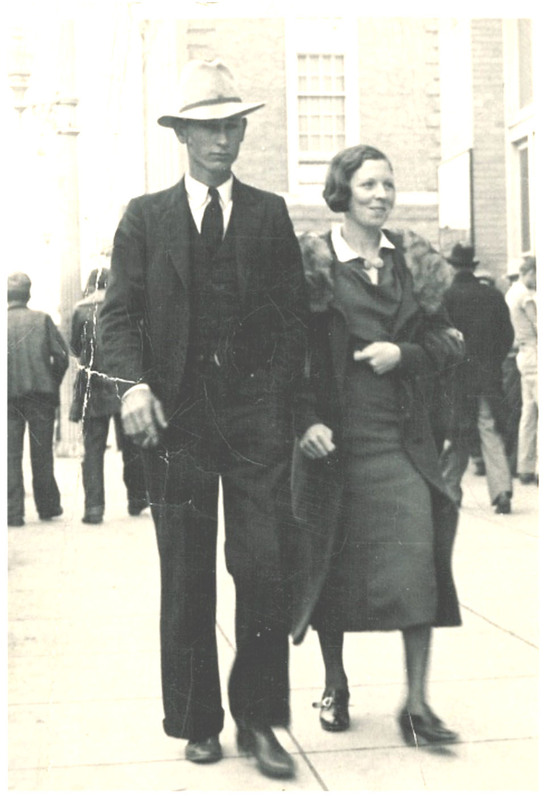 He married Margaret Inez Gill on June 6, 1934 in Clovis, NM. 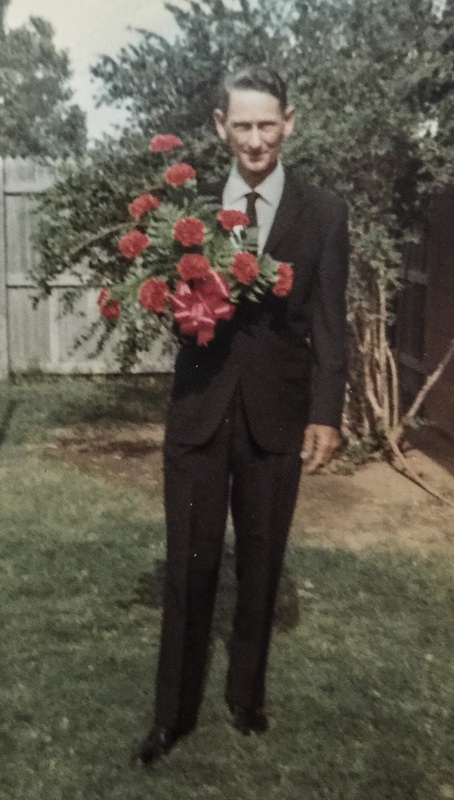 He was a cotton farmer for 34 years and then worked for the Texas Highway Department as an Engineer’s Aide for about 12-15 years before retiring. He lived 30 years after retiring, but was so good with his money, that he was able to take care of both Mother and himself all of his life. I find that remarkable. 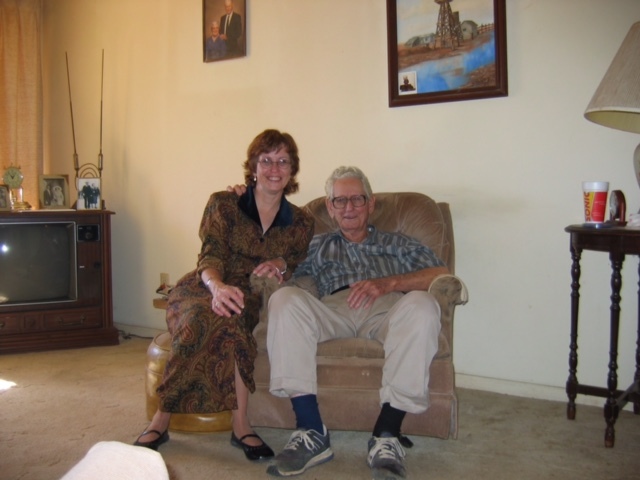 I miss Daddy for his wisdom, his wry and dry wit, his pretty blue eyes, and all of his love and care. He loved his kids enough to make us behave well, work hard, be honest, and love deeply. He didn’t put up with sass and he taught more by example than by words. He was the sort of man who went to the hospital when family or friends were sick. He called them when they went home. He took neighbors to buy groceries when they could no longer drive. He wasn’t perfect, by any means, as none of us are, but he was a believer in Jesus Christ and was a member of the Church of Christ all of his life. I still laugh at things he did over the years. For instance, when we had to put him into the hospital for pancreatitis in his early 80’s, he woke up and looked at the end of his finger where a pulsoximeter was attached. (Those glow red.) He didn’t have his glasses on and he motioned me over to him. He whispered, “Elaine, I do believe the end of my finger is on fire. What’s wrong with it?” He was so serious and I got so tickled! I said, “Daddy, your finger isn’t on fire! That’s an instrument to tell us how much oxygen you have in your system.” He said, “Well, I’m breathing easily and alive so I guess I have enough, don’t you think?” LOL! Anyway, I always get a little blue on the anniversary of my parents’ and siblings’ deaths. I suppose that’s to be expected. I don’t mullygrub for days or cry a lot, but I do get misty eyed. I am SO thankful that I had such good parents. 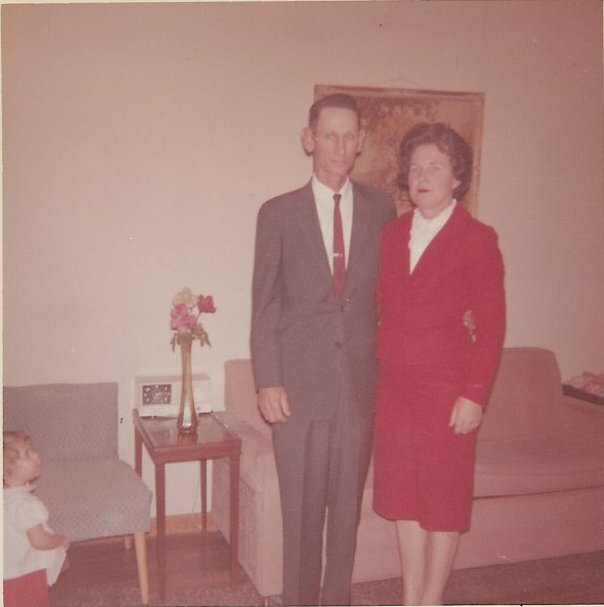 They were salt of the earth and as I’ve grown older and seen so many examples of bad parents, mean parents, and downright evil parents, I have become more and more aware of how very blessed I was to have such good parents. Thank you God, for the blessing of my good parents. 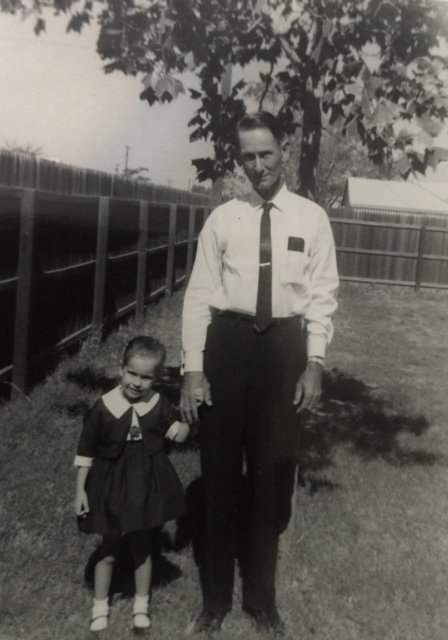 I thought I would share some photos of Daddy and myself taken as I was growing up. 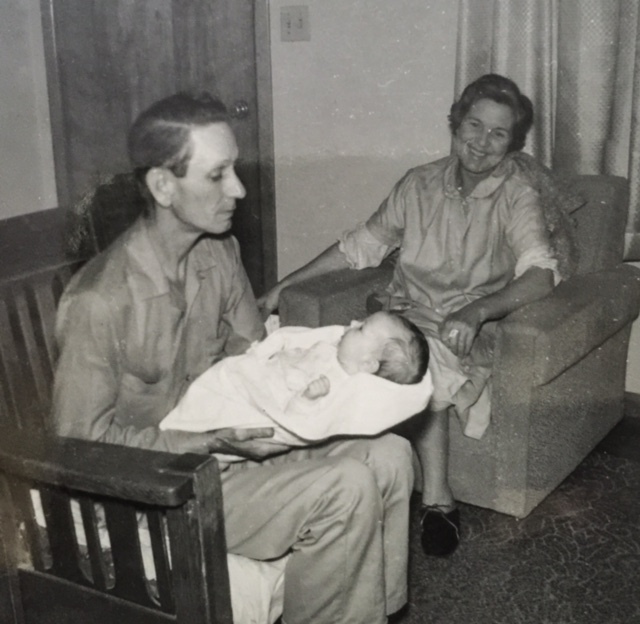 Daddy holding me while Mother looks on when I was very young, but I’m not sure how old I was. 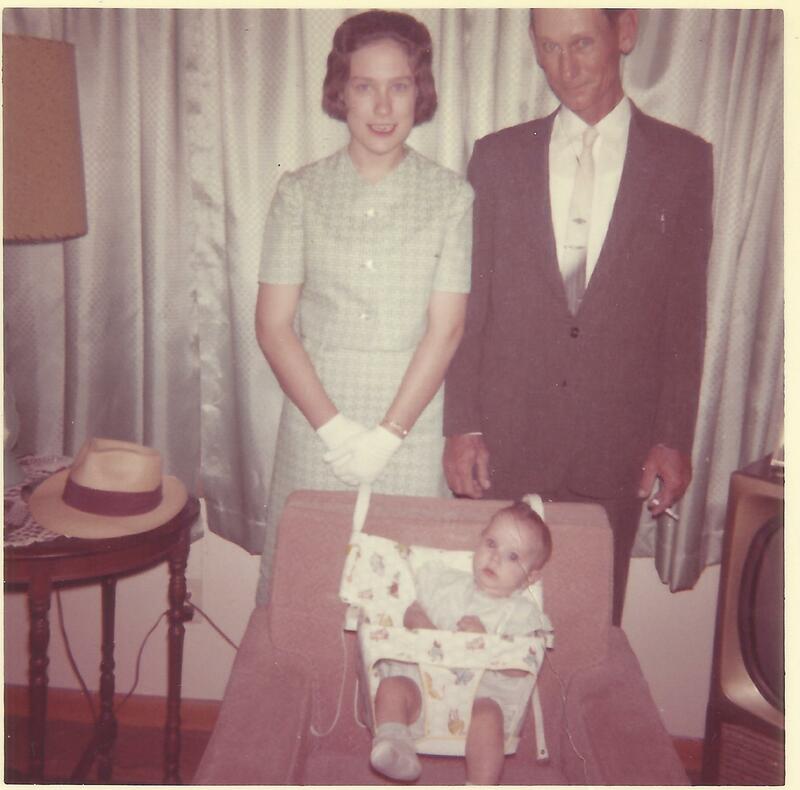 My parents were older and I was a “surprise” so I always loved this picture. They both looked so happy. 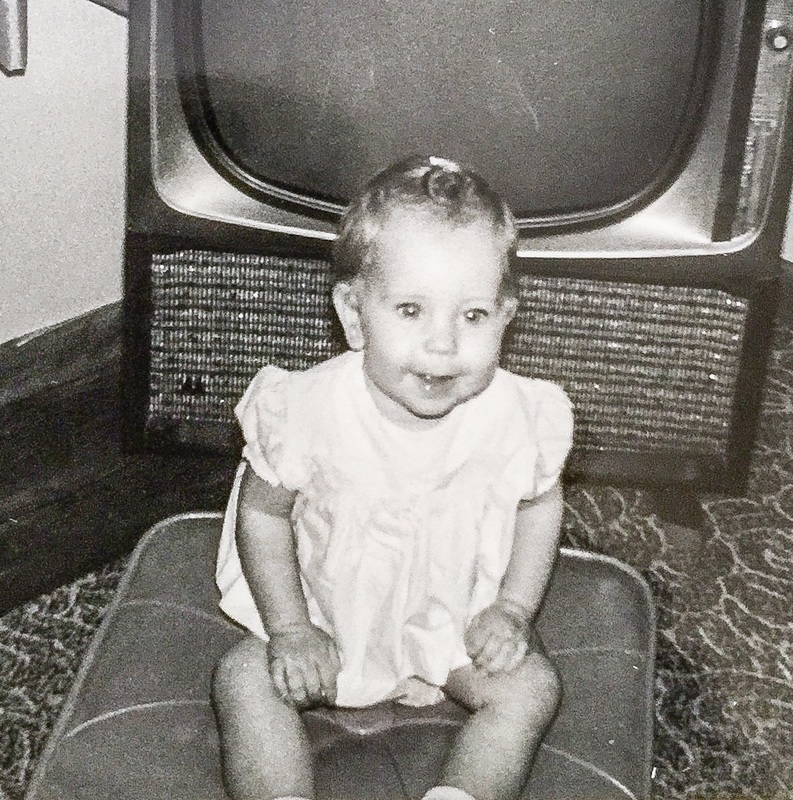 Me, about 1 year old, in our living room on the farm in Lovington, NM. I didn’t have a lot of hair yet, but Mother or Judy, my sister, always tried to put a hair ribbon in anyway. This was in our backyard at the house we rented in Lubbock, Texas after Daddy quit cotton farming. I’m about 3 years old in this picture and it looks like it was on a Sunday before church. Look at those little white gloves and hat Mother had put on me! You don’t see kids dressed like that for church any longer! 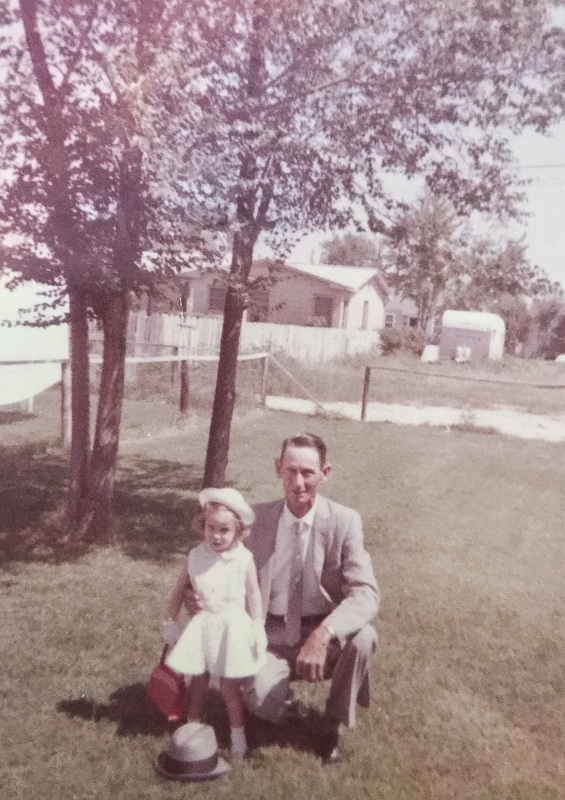 Daddy always wore a hat to church too, but took it off for the picture. He was about 51 in this picture. This was in the backyard of our new house that Daddy and Mother bought in Lubbock. 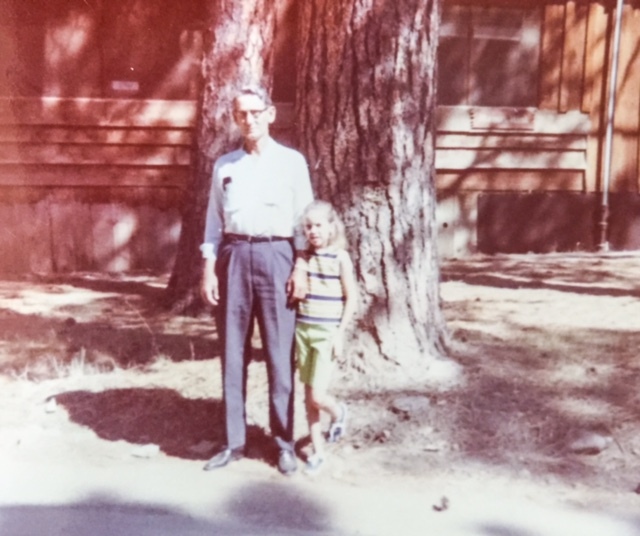 That little sycamore tree behind Daddy eventually grew to be a very tall, large tree. I think I’m about 4 in this picture. Nearly every summer of my childhood we went to Ruidoso, NM for vacation. No matter how many times I asked Daddy to take me to the river, he would get up and take me. Up and down the hill to the river and back. Poor man! He had the patience of a saint in that respect. I think this was probably in summer of 1969 or 1970. 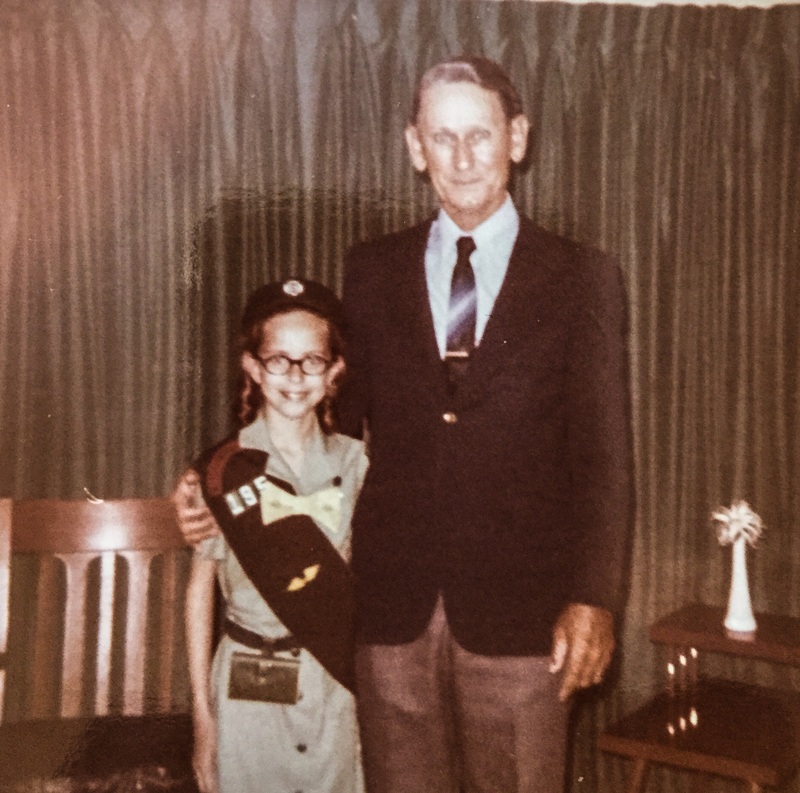 This was in 5th grade and was taken before Daddy and I went to the Girl Scouts Father-Daughter Banquet. 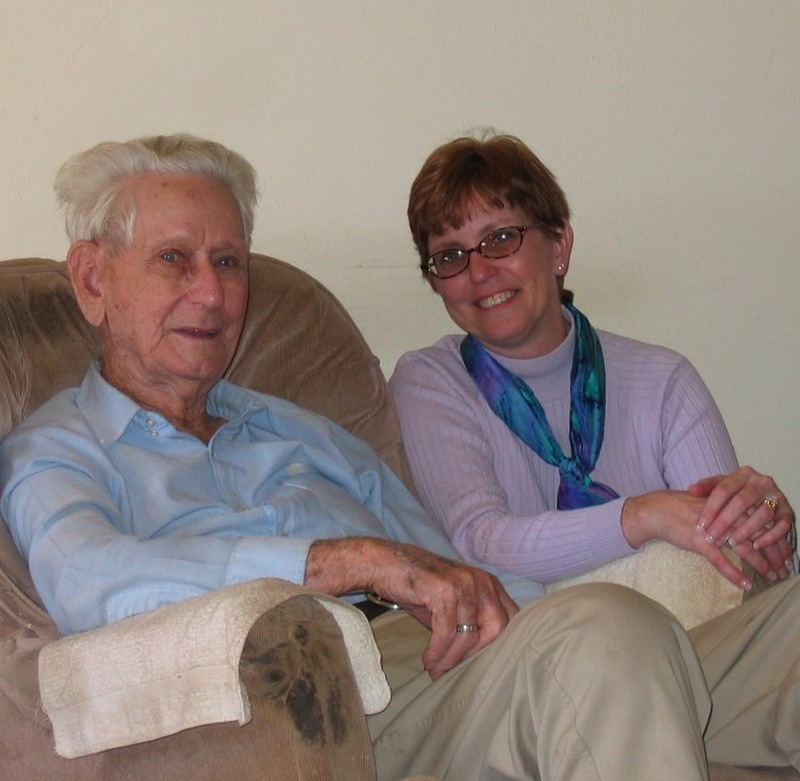 Daddy, about age 90, and me. 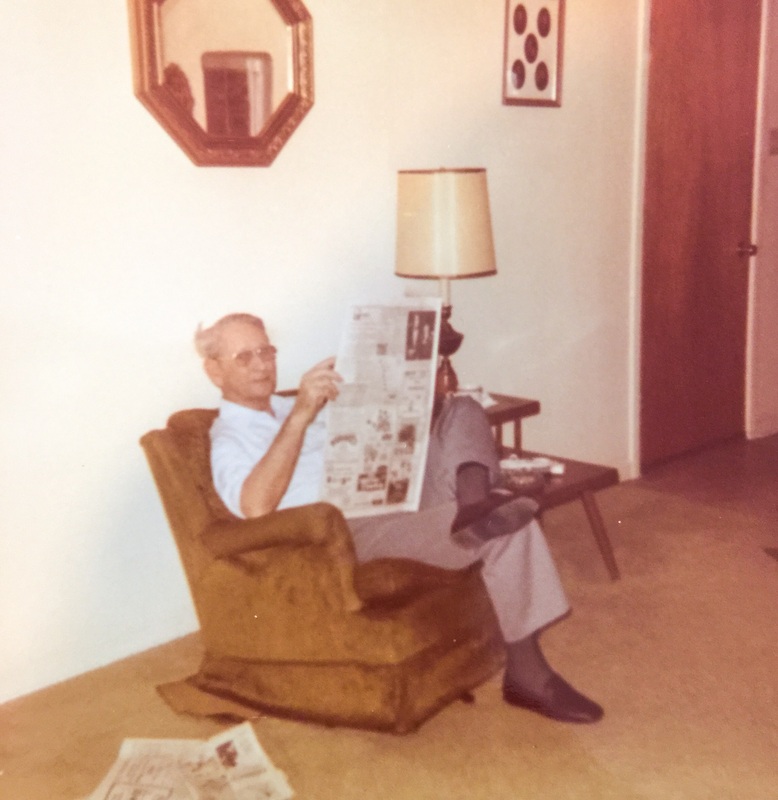 Some of our best conversations took place with me sitting on that old hassock next to his chair so he could hear me. I think that place right there is where I got to know my father best. Daddy was a good father. be dependent on someone else. was then “new math” homework. shyness and flirt with boys. attempt to leave a nursing home. He called and visited the sick. He worked hard at building family. He was proud of us. He was tender with us. He was tough with us. in the world when he was mad. telling him I loved him. for giving me such a good dad.